Iran’s academic year begins at September 23rd each year. Though Iran enjoys having geniuses such as late Maryam Mirzakhani, a math genius, the only women recipient of the Fields Medal, the most prestigious award in mathematics, Iran’s educational system has been in crisis for years. In this short paper, I want to focus on the crisis that Iran’s educational system has been facing, plunging for worse in the past decades. At the end of September, millions of students in Iran go back to school. But unfortunately, this year, many families were forced to send their children not to school, but to work, because they are not able to pay the costs of their children’s education and they cannot see ends meet. In many cities and villages of Iran, though the children yearn to start a new academic year, they end up working at local brick kilns or weaving carpets to support their families. The Iranian regime’s treacherous policies towards the educational system have created a real national crisis. Approximately ten million people in Iran are illiterate and another 15 million are functionally illiterate. Annually, many students drop out, especially girls. Living costs and educational costs have multiplied, and on the other hand, free education plans have become a thing of the past. In such conditions, there are few low-income families who can pay the cost of their children’s education. And if a family must make a choice to send only one child to school, because they cannot afford more, it’s usually the girl who gets omitted. If we are to discuss the statistics, a precise number can never be obtained as the ruling regime lacks transparency and portrays everything as insignificant. What’s intriguing is that even within the regime there is a deficiency lack of uniform numbers and statistics. According to the statistics of the Welfare Organization, there are 327,000 children who are deprived of education in Tehran alone. 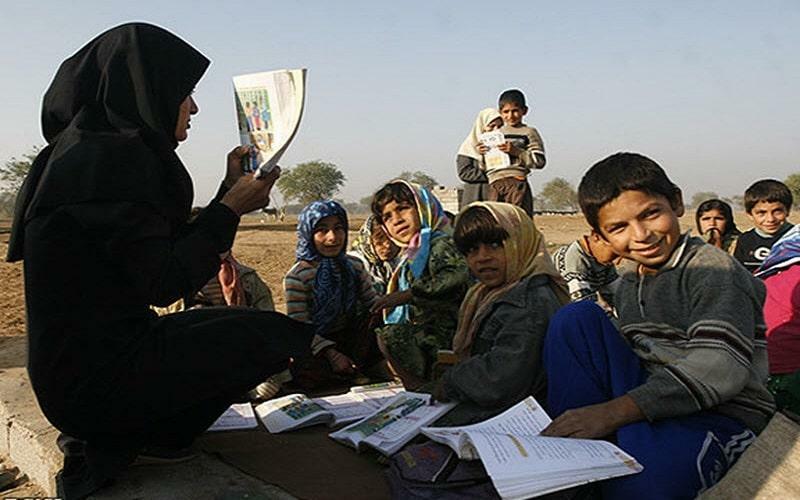 The province of Sistan and Baluchestan is also ranked high on the chart and on September it was reported that 120,000 children were deprived of education. There is an overwhelming number of children seen on streets working as street vendors or having full-time jobs as beggers. Some earn money working in manufacturing workshops and service centers though it is illegal for them to hire a child.